I found a new weed in the garden the other day. I don’t know whether to be excited or dismayed. This one is beaked parsley, also known as bur chervil (Anthriscus caucalis). This weed is native to Eurasia, where it appears it is pretty much ignored. It’s listed by the UK Department for Environment, Food, and Rural Affairs as an indicator species for high value arable margins, but beyond that, it rates little mention in its homeland. It is apparently neither particularly tasty, nor poisonous. It is apparently not used for any medicinal purposes. It’s just a plant that’s neither particularly common, nor particularly rare. Nor is it mentioned often in the many countries where it is a weed. 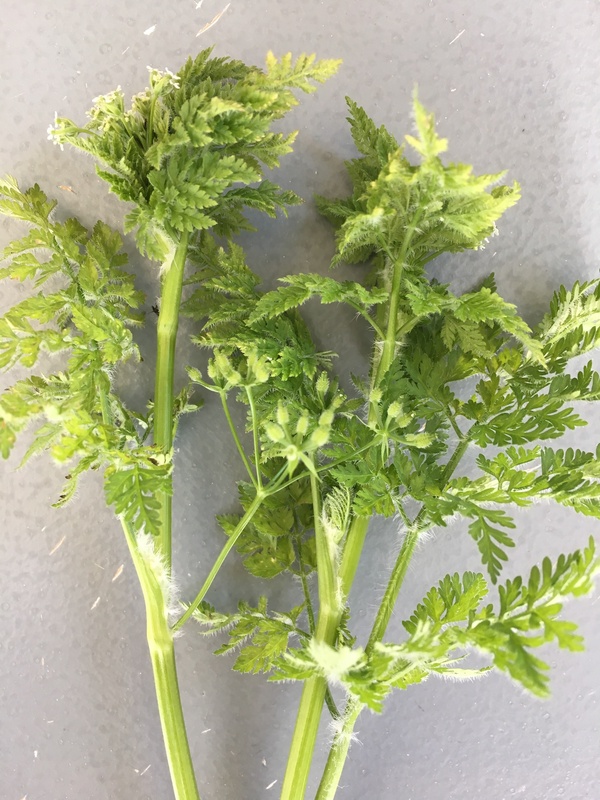 If it is mentioned at all, it’s usually lumped with its close relative, wild chervil (Anthriscus sylvestris), which appears to be more of a problem. It apparently prefers riparian zones, but is quite happy to live in drier areas, too. The seeds are covered in curved spines and hairs that cling to fur. The plant almost certainly arrived in New Zealand on the back of an imported sheep. With so little information about the plant available, I am naturally intrigued. What secrets is this unassuming plant harbouring? Its family–Apiacea–includes such well-known plants as carrot, poison hemlock, fennel, parsley, coriander, dill, caraway, parsnip, celery, anise, lovage, and many others. Many of these plants produce defensive compounds, some of which are incredibly toxic to humans, and some of which are sequestered by caterpillars in the genus Papilio (swallowtail butterflies) for defence. So I can’t help thinking that bur chervil might harbour some interesting chemistry and ecological connections, if only someone would have a look.